When you create a DEFINE FUNCTION construct, the function will be available from the Function Arguments dialog box. When a user defined function is selected, a template is presented to allow you to enter the arguments for the function. 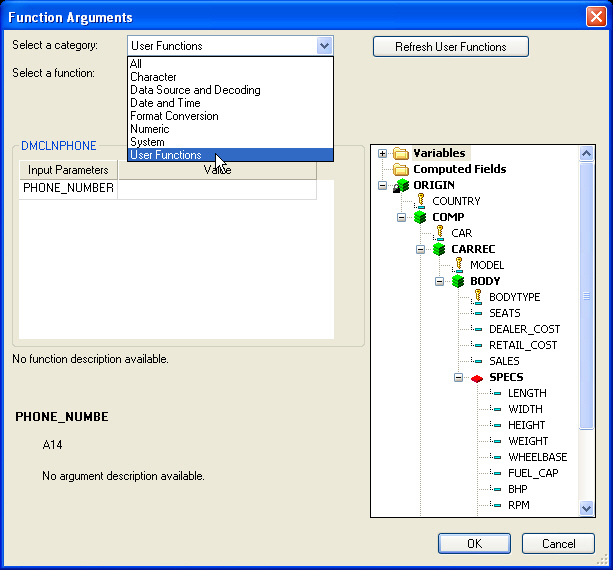 With the Function Arguments dialog box open, select the Retrieve User Functions button, as shown in the following image. Select User Functions from the Select a category drop-down menu, as shown in the following image. 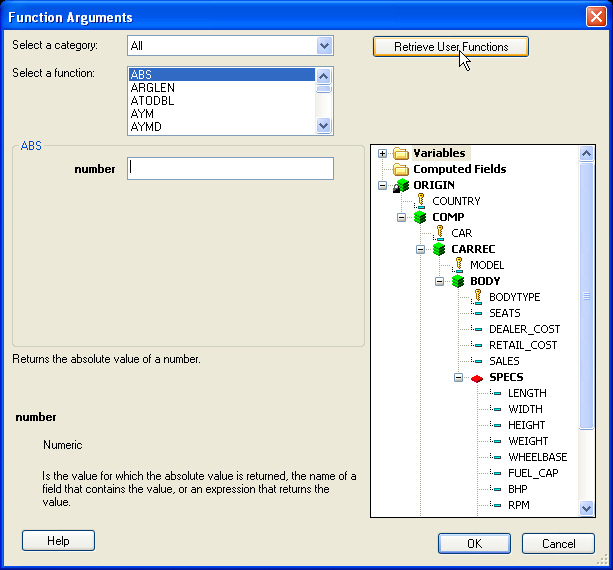 The Select a function text area will be populated with all user defined functions. To refresh the list of user defined functions, select the Refresh User Functions button, which has replaced the Retrieve User Functions button in the Function Arguments dialog box.